99% of Mud Runs & OCR's are designed to accommodate men and women of all ages, size & fitness levels; high school wrestlers are in the same heat as 50 year-old housewives, athletes and fitness models rub elbows with the dorky guy from your IT department and Tiffany from HR. The inclusiveness is sometimes part of what makes these events great, but at the same time there is surely a need to break some accomplished athletes into different waves – say, the “elite” start times and make room for all the normal guys and gals to compete with others on their same level. Sometimes, you can make something really special through the simple math of “addition by subtraction”. Yep, I said it – cut the guys out of the equation and you have an even more enjoyable event for women the world over to enjoy. Are these “easy races fit for the girls?” Not necessarily – but they are created specifically for women (usually by women) and are exciting, challenging, and fun events that growing like wildfire in the world of Mud Runs & OCR's! To see a list of these awesome women-only events just click here! A: Are you a woman? Then why not? Events like Dirty Girl Mud Run, Lozilu, Distress The Dress, Kiss Me Dirty, Diva Dash and more have created amazing events for women-only that are full of all the fun & challenge of ordinary OCR's and Mud Runs but devoid of all the dudes! Don't worry, if you need your share of guys you can find 'em rooting you on from the other side of the fences or volunteering – but the event is just for the ladies! A: All of them! 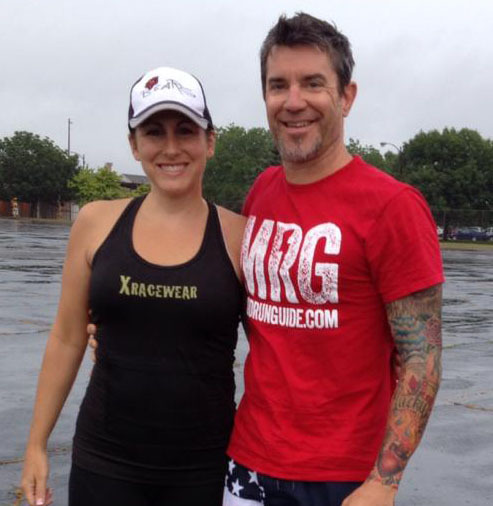 We've read glowing reviews about Dirty Girl Mud Run, Kiss Me Dirty, & Diva Dash and have first-hand knowledge (Kristen raced, Brett worked on the course) with Lozilu. Sign up, show up & have fun! See a complete list of women's events here. 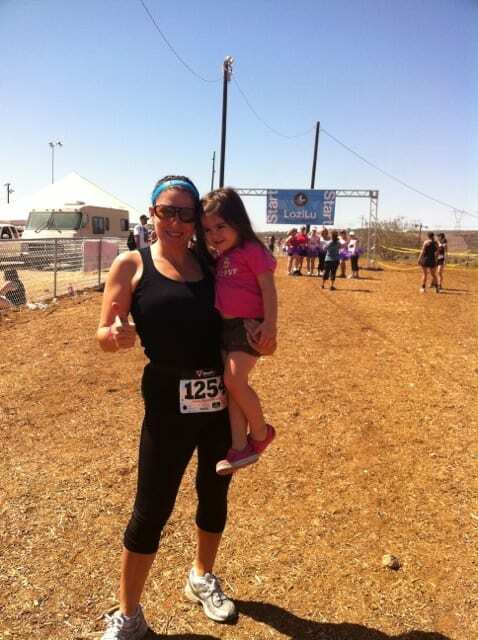 I chose an obstacle run because it sounded more interesting than a typical road race. I chose a women-only race so that I wouldn't get trampled by a bunch of men. Because I waited until the last possible moment to sign up, I couldn't find any other gals to join me; honestly, running it alone scared the hell out of me. The day before, I nearly backed out and it took more than a little convincing from Brett to go to packet pick-up. Looking around at the other women of all shapes and sizes picking up their swag bags I felt a little more comfortable. Fortunately I was better at the obstacles than I was at the running part, so I didn't feel too guilty walking some of the course. The cool thing I noticed was that people would help each other over obstacles if needed, whether they knew each other or not. I liked the sense of solidarity in this race, but I don't know if it was because it was all women or not. About 3/4 of the way through, I made a friend. I found the only other person in our wave that was racing alone and asked her if she wanted to run with me. It was SO much more fun having a “buddy”, even if I only knew her for 5 minutes. We connected immediately, both secretly glad that we were no longer the only dateless girls at prom! We even slid down the giant water slide into the huge mud puddle together at the end. For my next one I will be sure to train a little better first, get a group of friends, make a cool costume, and maybe even do a race with (gasp) a bunch of sweaty, testosterone-driven dudes! Then again, maybe I'll stick with the girls!